Lorinda worked for the Cajon Valley Union School Dist in El Cajon CA, as a Guidance Tech. She created a blog where parents and teachers can find material to guide their children/students toward self-worth, self-esteem and empathy toward others. She has boxes of materials to offer for free, weekly posts of materials are added. Instead of the material sitting in her home, she is offering the activities online. She has templates for activities posted. 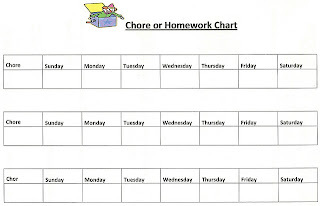 Behavior charts, homework charts, chore charts, on time charts, are available.